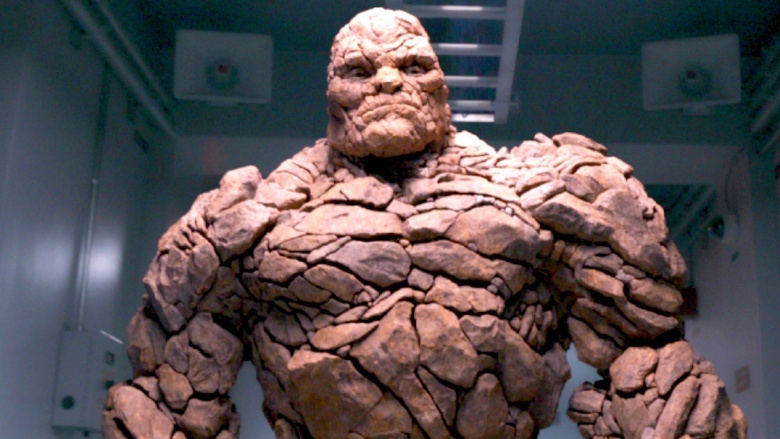 With an opening weekend rockier than Thing's ugly face, the many flaws of Fantastic Four were revealed to an international audience. 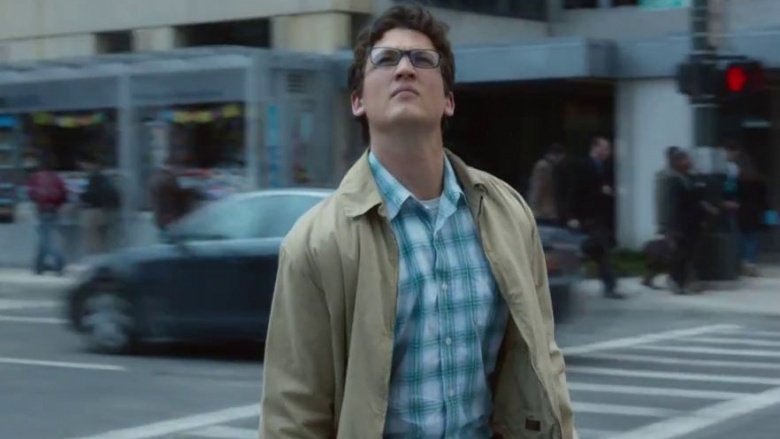 The film's director made apologies for the film before it was even released, Stan Lee refused to make a cameo, and no one bothered to make action figures. 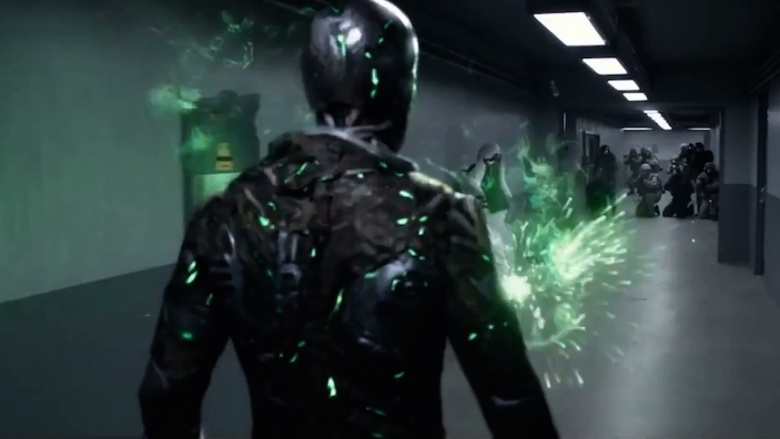 If these things weren't enough indication of a film flop, check out these unbelievable holes that the unwitting public can witness in Fantastic Four. Young Reed Richards has been working on a transporter for about ten years, even without the support of his trashy parents and dismissive teachers. So, when big deal sci-guy Franklin Storm happens to show up at a science fair to check out Reed's invention, he seems to show up for no reason at all. Sure, he has a hobby of collecting weird kids for his baby brain trust, but the coincidence that Reed is also working on the exact same Quantum Gate is a bit beyond belief. In comic book terms, the place that the kids zap to in their transporter is The Negative Zone. It's a terrifying place with a lizard-like despotic ruler, and it's occasionally used as a hellish prison for Earth's worst jerks. 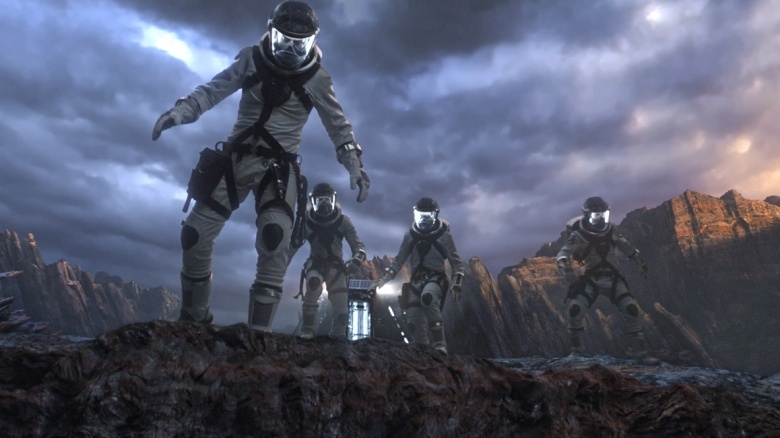 Fantastic Four's scientists dub this place Planet Zero, because they're awful at naming things, but offer absolutely no explanation of what it is or how it works. They only allude to some lazy theory about quantum entanglement, but hey, at least it's a weird place with green energy-lava special effects. During one of the first biological tests of the Quantum Gate, a monkey is sent to Planet Zero. The act of sending a monkey into a dangerous space-place isn't a problem so much as the fact that the filmmakers apparently couldn't afford an actual monkey. Instead, the audience is treated to a few seconds of some terrible CGI simian template, undoubtedly left over from some other monkey movie. When you can't spring for a real monkey, you know you're in real trouble. After the now-superpowered team returns to Earth, they're held in a secure government base and studied. Reed escapes and travels the world, eventually settling in a jungle to build a new transport pod, presumably to cure his friends. 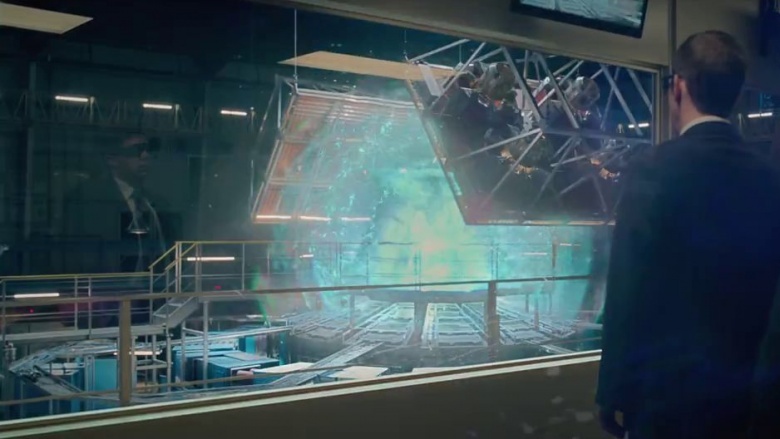 The government forcibly retrieves him, based on a stray screen name as if the whole movie were an episode of Catfish, but Reed's mostly-built Quantum Gate is left sitting in the jungle somewhere, because leaving an interdimensional hell-gate laying around is no big deal. 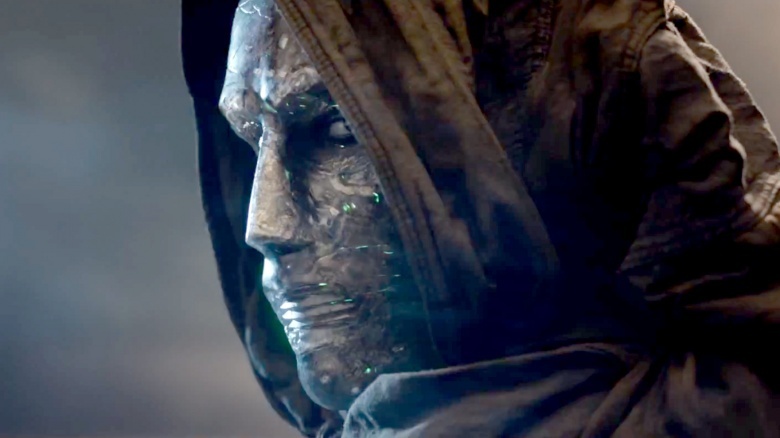 Victor von Doom, the instigator of the team's travels to Planet Zero, is left behind on the planet when he's swallowed by green energy lava. A year later, Doom stumbles towards a second exploratory team and falls to the ground, apparently near death. Later, however, Doom informs the scientists that the planet kept him alive, and he really just wants to go home. Doom can't seem to decide if the planet is killing him or nurturing him, and neither can the writers. Doom, now somehow mutated into a half-man-half-spacesuit, really just wants to go back to Planet Zero, but the government would rather just prod him and figure out his whole deal. He hasn't revealed any nefarious plans, and he'd probably make a pretty good Zero-sherpa, so why not just let him go home instead of standing in his way at the cost of dozens of lives? Doom can explode your head with a thought. Who wants that around? 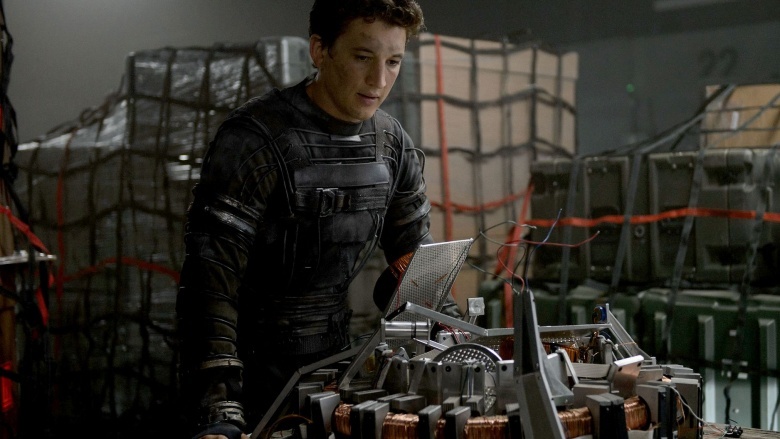 At multiple points in Fantastic Four, science-types know everything about a machine just by looking at it, even if that machine is made from forks, a four-leaf clover, and a colander. Sue Storm knows exactly what Reed's machine is at the science fair, and even more absurd, Reed knows exactly what Doom is doing when he conjures up a giant monolith swirling with energy. If you've never seen an interdimensional doomsday machine before, you probably wouldn't recognize one made from floating rocks, nerd. 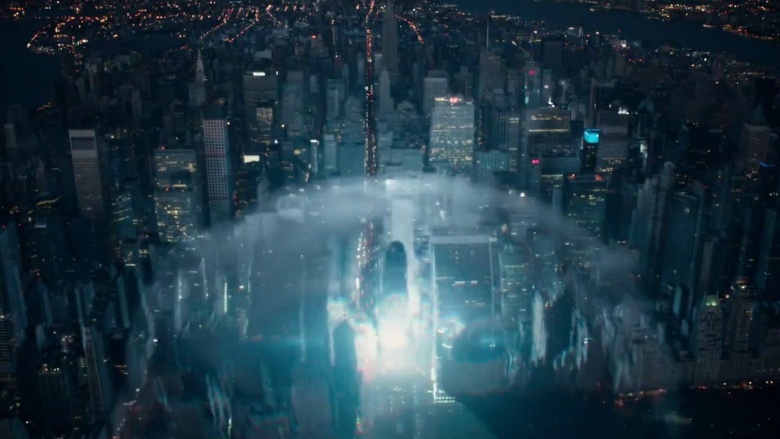 Once on Planet Zero, the team finds it difficult to stop the nearly-omnipotent Doom, who commands energy and matter as though it were nothing. 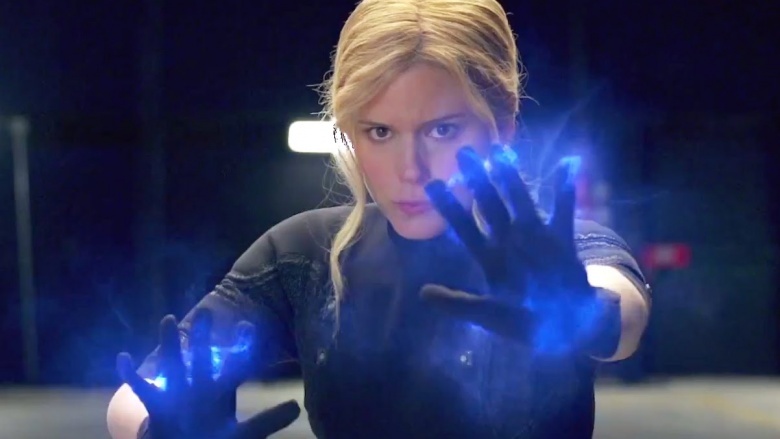 Thing, Human Torch and Invisible Woman have been training together with the government for a year, but somehow never figured out that they could actually do stuff together. It takes Reed's genius to suggest that they can actually all do stuff at the same time, and Doom is quickly defeated, because he also forgot that he can blow up people's heads with his mind. 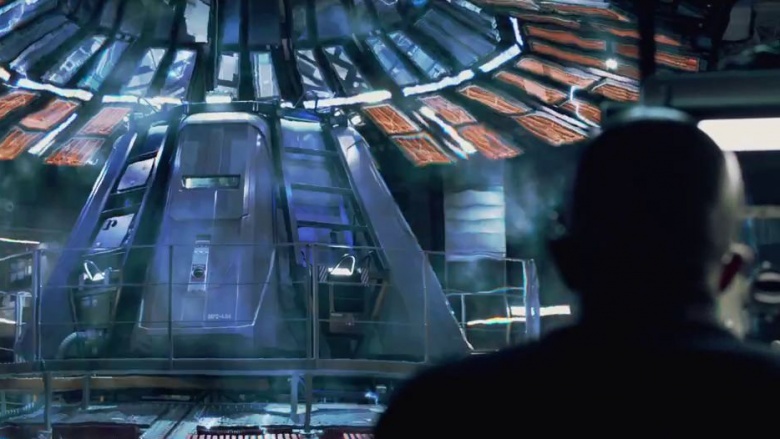 In the film's terrible final scene, the team declares their emancipation from their government handlers, essentially making a terrorist threat against the US Government if they don't get a billion-dollar base to tinker around in. They get their base, say some really stupid dialogue, and are given official permission to do more world-destroying science, and possibly more brain-destroying films. Or else.